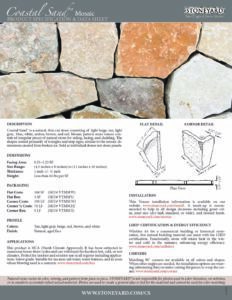 Coastal Sand™ is a dense Quartzitic stone that has been cut thin for installation on any interior or exterior masonry project. It consists of neutral tones such as beige and light gray, but also has some deeper red. pink and brown tones throughout. 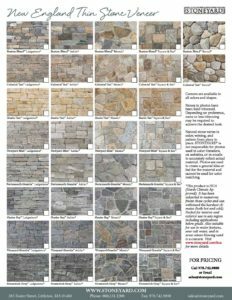 It is available in Ledgestone, Square & Rectangular, Mosaic, and Ashlar shapes. Coastal Sand shows its layers of tan, beige, browns, and intermingled it’s as if splashes of clear ocean were captured as the stone formed. 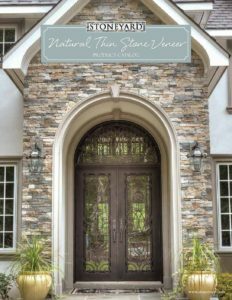 For shapes that are split on the face, such as mosaic, with Coastal Sand you can create a natural stone wall that reminds you of stained glass.